The rift between the US and Pakistan deepened on Monday as the Nato summit in Chicago broke up without a deal on Afghanistan supply routes. Barack Obama, at a press conference to wind up the summit, made no attempt to conceal his exasperation, issuing a pointed warning to Pakistan it was in its wider interest to work with the US to avoid being “consumed” by extremists. Seldom in recent years have the tensions between Washington and Islamabad been on public show to the extent as at the Chicago, overshadowing the two-day Nato summit. The main point of friction is Pakistan’s closure of Nato supply routes to Afghanistan in protest over drone attacks and a US air strike in November that killed two dozen Pakistani troops. Obama refused to make time during the two-day summit to see the Pakistan president Asif Ali Zardari for a face-to-face bilateral meeting. In a press conference, Obama made a point of stressing that the only exchange he had with his Pakistani counterpart was short. “Very brief, as we were walking into the summit,” Obama said. The US president said he “did not want to paper over the cracks” and that there has been tension between the US-led international force in Afghanistan and Pakistan over the last few months. But ultimately, it was in the US interest to have a stable, democratic and prosperous Pakistan, Obama said, adding it was in the interest of Pakistan to work with the US to ensure it is not consumed by extremists. There are fears in the US that the Pakistan government is unstable and that the government could fall, to be replaced by hardliners. The risk for Obama is displaying his annoyance with Pakistan at the Chicago summit is that Zardari could leave the summit feeling humiliated and even less willing to play a positive role over Afghanistan. Obama declined to meet Zadari one-to-one because Pakistan is refusing to re-open its Afghanistan border to Nato, which means the US and others are having to resupply their military forces through the slower and more expensive routes from the north and Russia. The president claimed that he never anticipated the Pakistan supply line issue being resolved at the summit and, taking a more optimistic view of the stand-off, he said they were making “diligent progress”. “We think that Pakistan has to be part of the solution in Afghanistan. Neither country is going to have the kind of security, stability and prosperity that it needs unless they can resolve some of these outstanding issues,” Obama said. The British prime minister, David Cameron, at a press conference in Chicago, reflected the irritation with Pakistan, describing the blocked routes as “frustrating”. Cameron said he expected a deal eventually but not at the summit. In its final communique, Nato formally committed to its withdrawal of the 130,000-strong force from Afghanistan based on a timetable agreed earlier by Obama and Karzai. All international combat troops would be withdrawn by the end of 2014. But the communique said a smaller force would remain to help “train, advise and assist” the Afghan army. The communique does not say how many troops will be left but US commanders in Kabul are looking at a Nato force of around 15,000-20,000. Reflecting the public mood in Nato countries tired of the war, the comminque said the withdrawal timetable is “irreversible”. 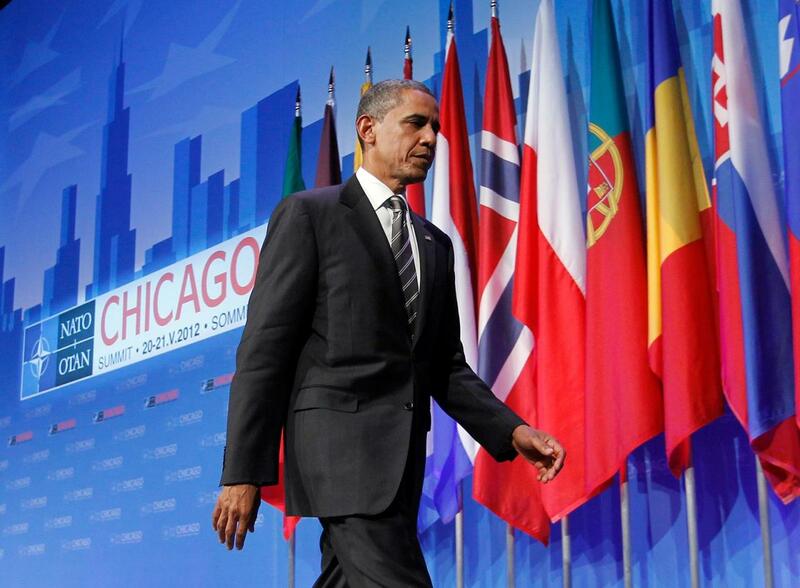 Obama, at the opening of the second day of the Nato summit on Monday morning, showed his displeasure with the Pakistan government by singling out for mention the Central Asia countries and Russia that have stepped in to replace the Pakistan supply route and made no mention of Pakistan. Zardari was in the room at the time. To ram home the point, the US defence secretary, Leon Panetta, also held a meeting at the Nato summit with senior ministers from Kazakhstan, the Kyrgyz Republic, Tajikistan, Turkmenistan, and Uzbekistan. Panetta expressed his “deep appreciation” for their support. Zardari has demanded an apology from the US for the killing of the 24 Pakistani troops in November in return for reopening supply lines. He is also proposing that the tariff for each vehicle be raised from $250 to $5,000. The US is bitter about this, noting the amount of American military and other aid that goes to Pakistan annually. In his wrap-up press conference, Obama stood praised the Chicago police for their handling of the demonstrations but also defended the rights of the protesters. “This is part of what Nato defends: free speech and freedom of assembly,” Obama said. Cross-border terrorism in China’s ethnically divided far western region of Xinjiang will not harm the nation’s diplomatic ties with Pakistan and other neighbouring countries, a regional official said on Wednesday. Chinese security authorities had found “countless ties between ‘East Turkestan’ terrorists and terrorists from our neighbouring countries,” regional government head Nur Bekri said, quoting the name used by members of the Uighur ethnic minority who seek an independent state in Xinjiang. 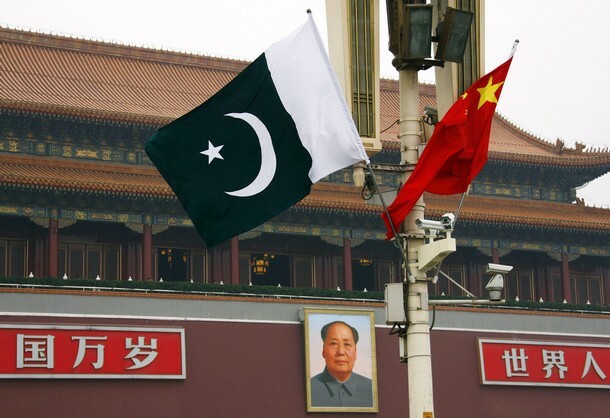 “But our neighbouring countries, especially Pakistan, have been declaring officially that in terms of any violent activity aimed at China, they will maintain China’s national security and core interests,” Bekri told reporters on the sidelines of China’s annual parliament. “So just a few terrorists will definitely not harm the China-Pakistan relationship,” Bekri said. He said the vast region – which borders Pakistan, Afghanistan, Tajikistan, Kyrgyzstan and Kazakhstan – was “generally stable” despite recent ethnic conflict and the threat of terrorism. The government has reported several terrorist attacks that killed dozens of people in Xinjiang in the past few years. But Uighur exile groups have accused China of using the global fight against terrorism as an excuse to suppress political and religious activity among Uighurs. Ethnic violence and a clash with police left about 20 people dead in southern Xinjiang’s Yecheng town last week, according to reports by international rights groups and state media. Xinjiang’s capital, Urumqi, and other areas of Xinjiang have remained tense since protests by Uighurs escalated into rioting that left about 200 people dead and 1,700 injured in the city in July 2009.